As usual well start with the box shots, and the Imperator box is nice looking with a few pictures and lots of information on it. Inside you’ll find the keyboard itself wrapped in plastic for protection. 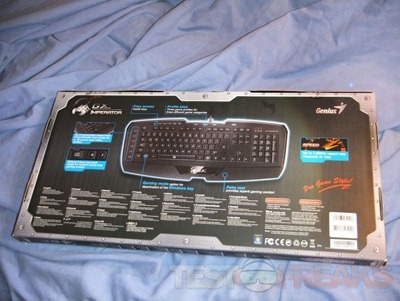 Once you unpack everything you can get a better look at the keyboard itself and you’ll find a packet underneath it. 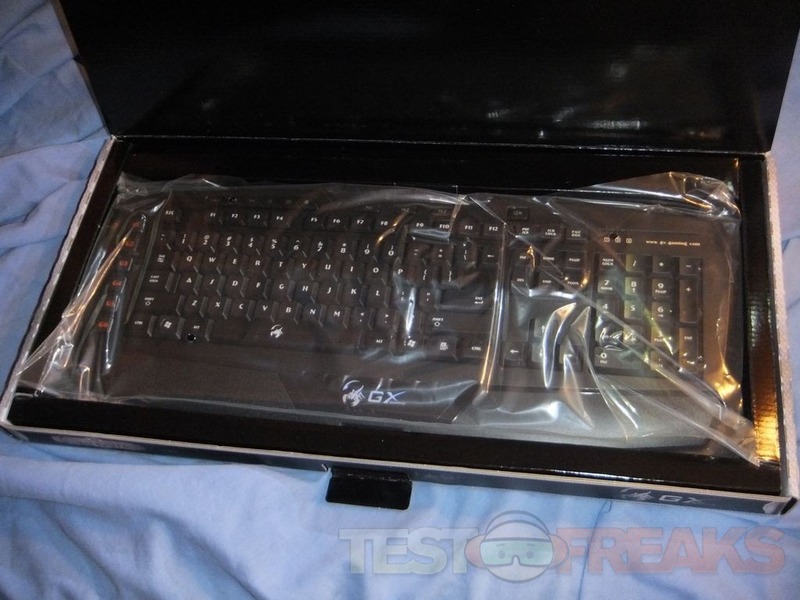 So here’s the keyboard, it’s rather large I think. The packet contains a very brief user manual and a cd with drivers and software on it. The Imperator does have a nice cloth braided cable that ends in a gold-plated USB connection. The Imperator does have several dedicated buttons, over on the far right is a vertical row labeled G1 through G6, these are your macro buttons which you can program with custom macros or use one of the pre-defined ones. 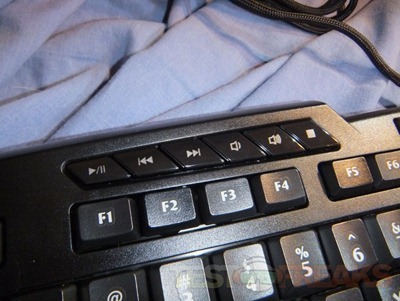 On the top left you’ll find dedicated multi-media keys for forward, back, play/pause, volume up and down and stop. 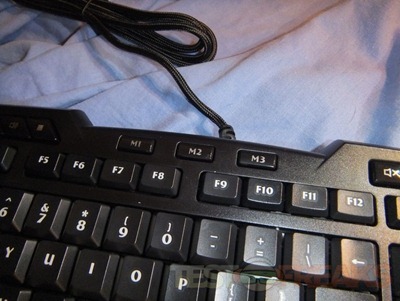 At the center of the keyboard are three keys labeled M1 through M3 which are for three different profiles. I’m not sure why they are labeled ‘M’ and not ‘P’ for profile, but I didn’t design it. Then to the right is a mute button, and that’s it for those dedicated buttons. Above the keypad you’ll see three LED indicators just like on most keyboards. The Imperator is a membrane style keyboard with rather low keys which seem very close together, at least the bases of the keys are. 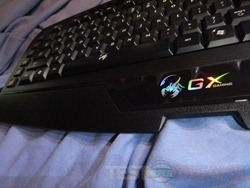 The Imperator does have a built-in wrist rest and I can say I’m not too fond of them. 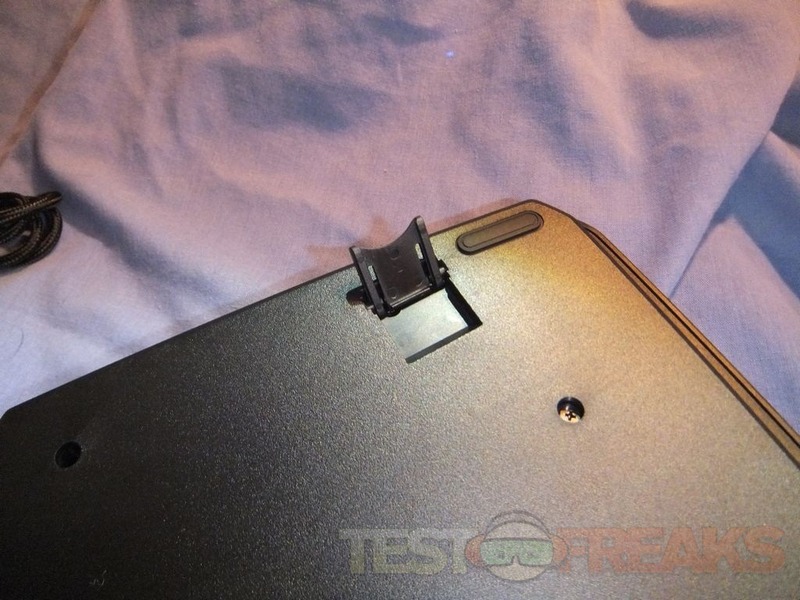 It would have been nice to be able to remove it if you wanted to. 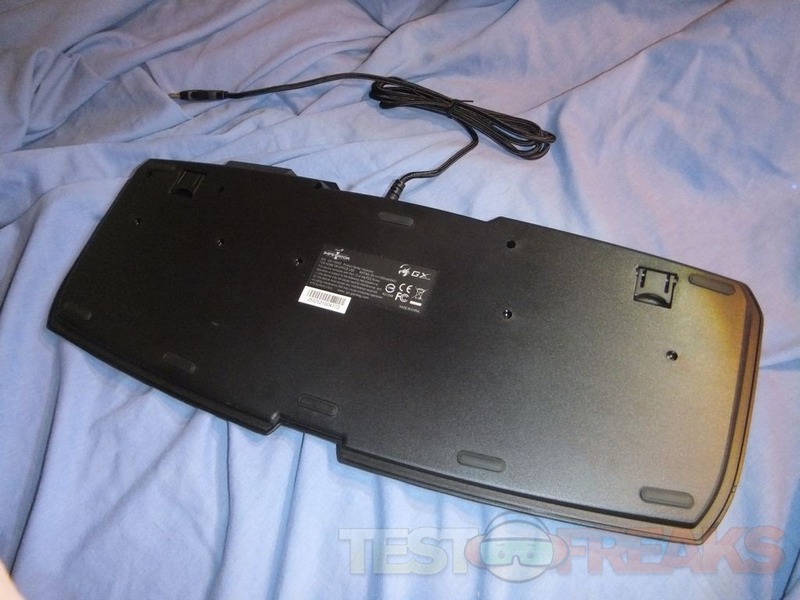 The bottom of the Imperator is plain black and you’ll find eight rubber feet there to keep the keyboard from sliding around. On the back edge you’ll find two foldable feet to slightly bring the keyboard up at an angle. 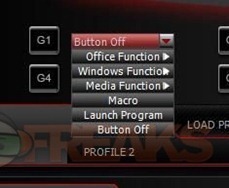 You can assign the buttons with pre-defined functions or select one of your custom macros. 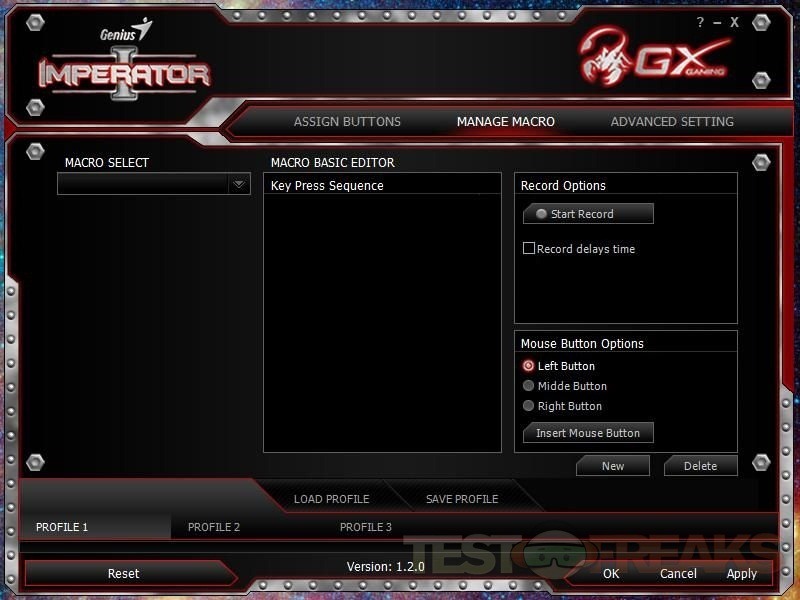 On the next page is where you create your macros. 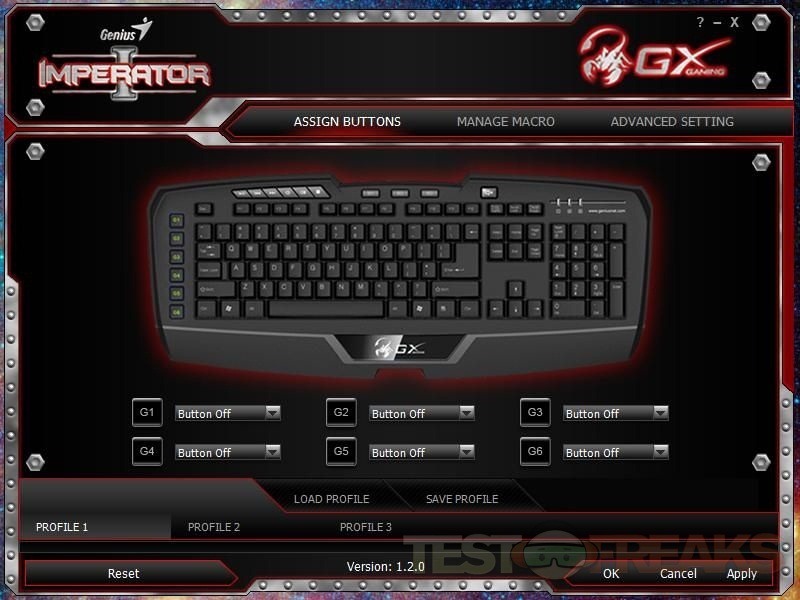 If you’ve ever owned a gaming keyboard with macros then I think you understand how to do this. 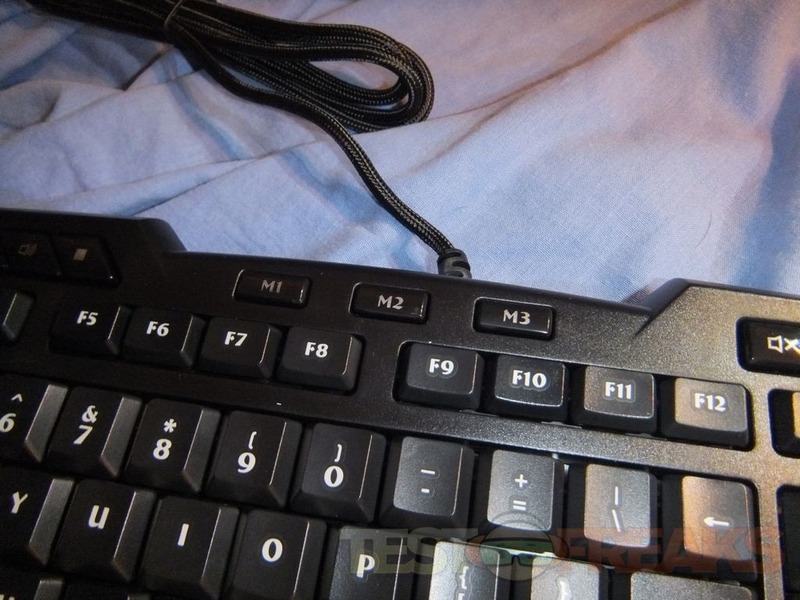 If you don’t know what a macro is then I think you have to ask yourself if you really need a keyboard that features them. 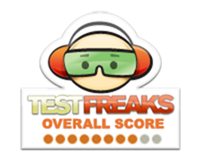 The last page is just for profiles. The interface is simple and fairly straight forward really. Typing on the Imperator took a lot to get accustomed to for me. 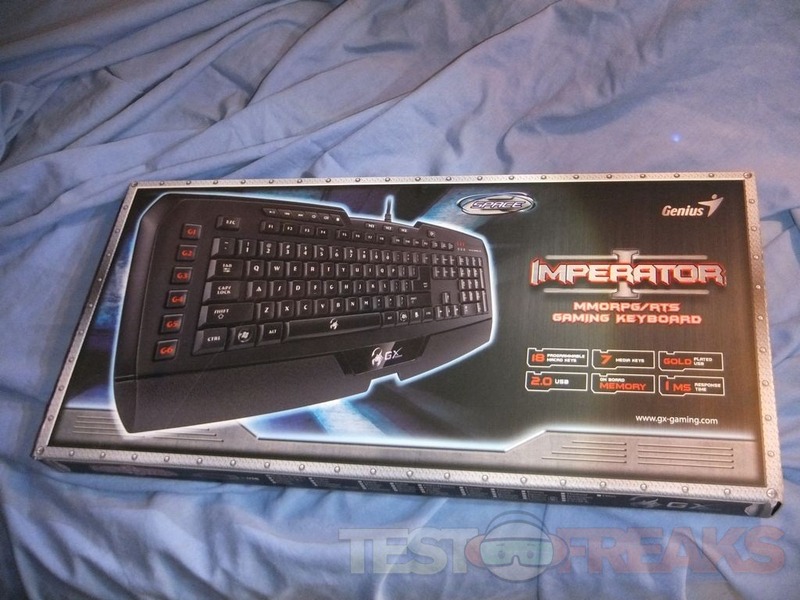 I’ve been using mechanical keyboards and the Imperator is a membrane keyboard which is totally different for sure. 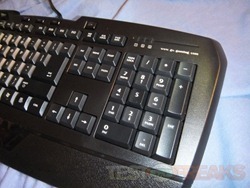 The mechanical keyboards I’ve been using are also much higher, the keys and the keyboard itself. Once I got accustomed to it everything seemed find then and it was just business as usual. 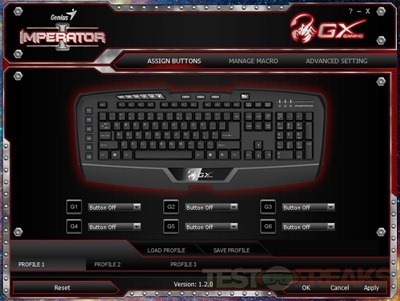 The Imperator isn’t bad for gaming, but I personally much prefer mechanical keyboards but they can be expensive and the Imperator sells for about $50 which you won’t find a mechanical keyboard for that. 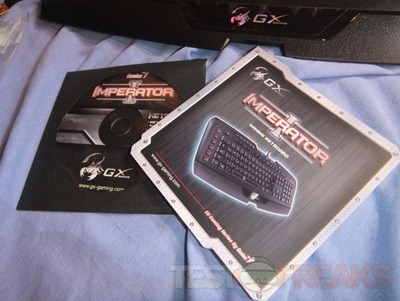 So for testing I played games and the Imperator is fairly decent especially if you consider the price. 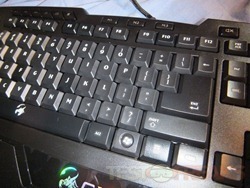 I played many types of games like RTS, MMO and even first and third person type games. 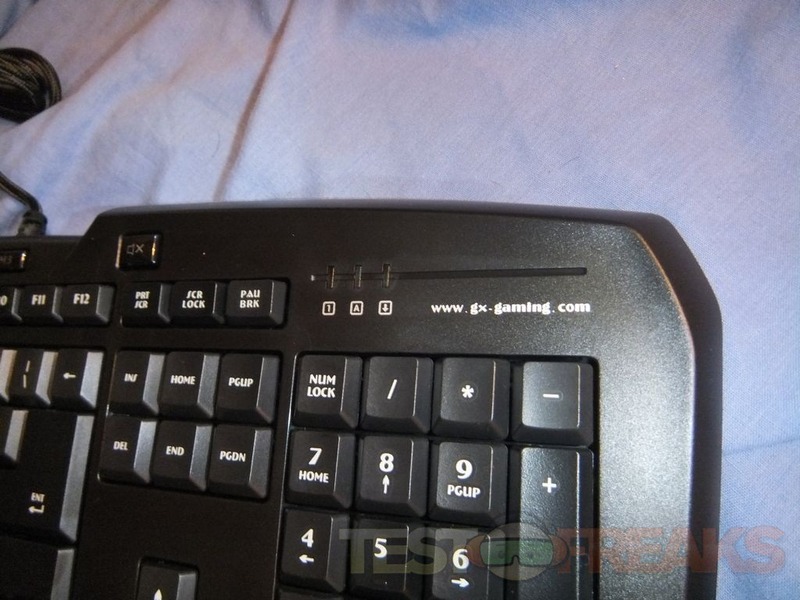 The keyboard itself is fine for gaming, you just use it as you would any other. 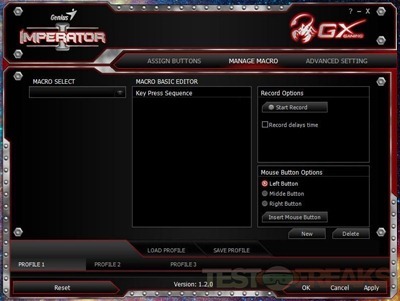 The Imperator’s main feature of course is the macros and that’s where it does work well, you can create your own and be gaming away and beating your competition in no time. I made a profile for just my regular usage which includes launching applications like Google Chrome, Live Writer and others, and I have to admit I think I like just pushing a button to get started. 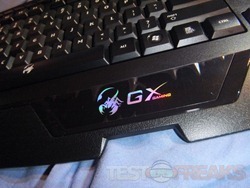 The GX-Gaming or Genius Imperator keyboard is just one of those products that you may or may not like, I don’t think there’s much of an in-between. Overall the Imperator isn’t a bad keyboard but it takes quite a bit to get accustomed to when it comes to usability, at least for me it did. 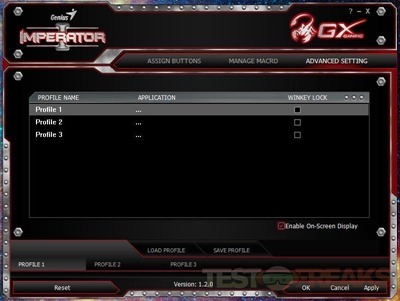 The Imperator does have a lot of great features that I think gamers will appreciate, especially those that enjoy RTS or MMO style games where macros are important. 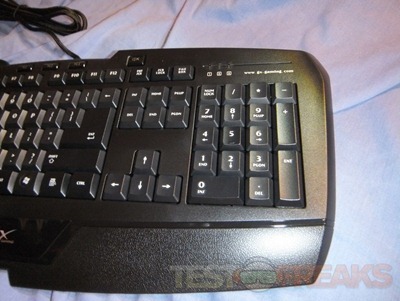 One of the things I do like about this keyboard is the ability to program the keys to not just gaming macros. The keyboard will let you have three different profiles which can be for gaming or office use or a combination of the two. You could program two for games and then one for normal, regular, everyday use and just quickly switch between them with the touch of a button. 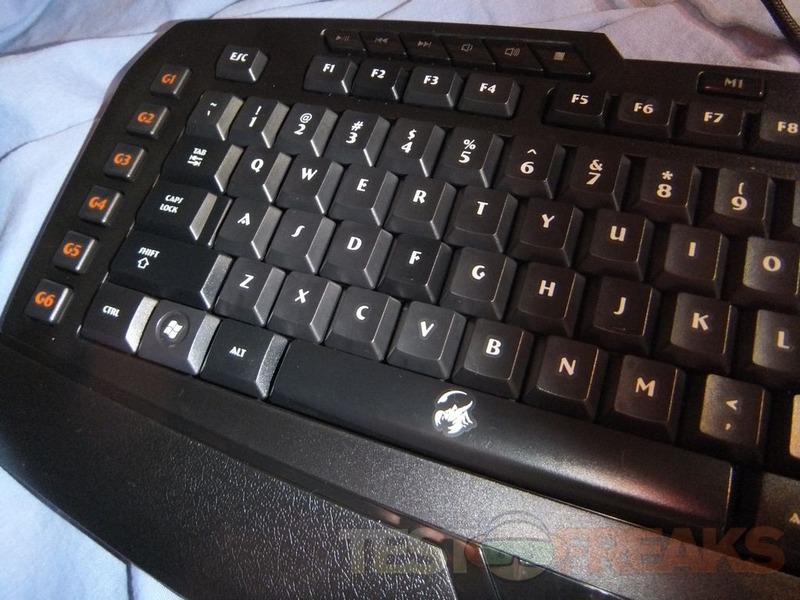 The Imperator does have dedicated media keys which is a big bonus I think, my last keyboard had media keys but they required you to press the function key first as they were on the F1 through F7 keys. There are a couple thing I don’t care for about the Imperator. 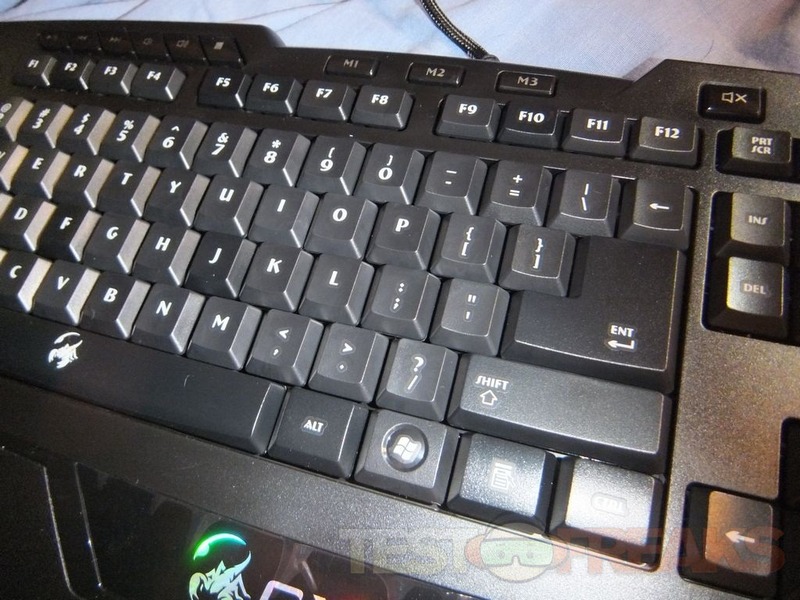 The keys are very low, which can be good and then not. 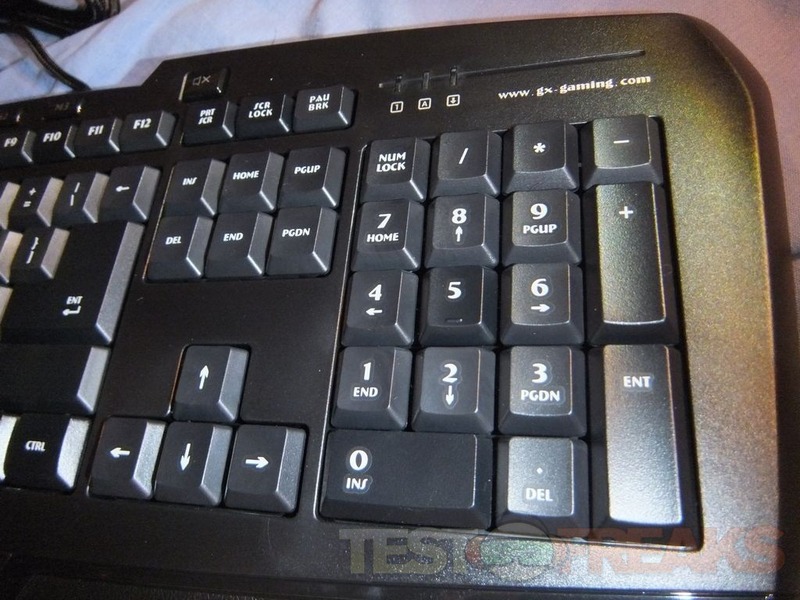 Having low keys means a short key press, but I’m accustomed to higher keys so for me it’s a problem really as even after using it for a while I’m still not really accustomed to them. 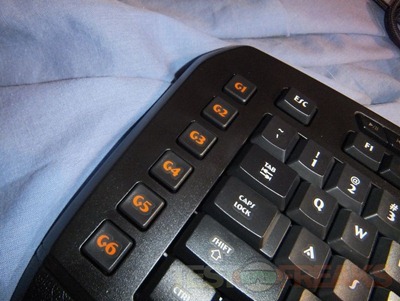 I also prefer my keyboards to be up at an angle. The Imperator does have feet in back but they really don’t bring the keyboard up very far at all. 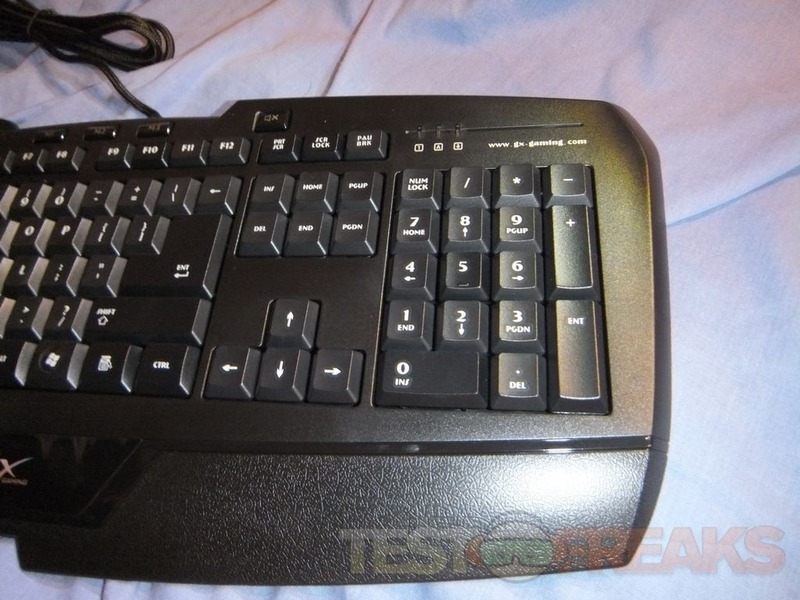 I know some people much prefer the flat or lower keyboards, again this is a personal preferences. I mention these couple thing because you’ll want to take them into account before making a purchase. I personally don’t care for wrist rests myself, but some people might, me no, not at all. 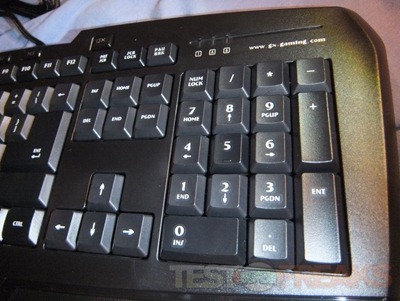 One other little peeve is the backspace key, it’s the size of the standard keys. 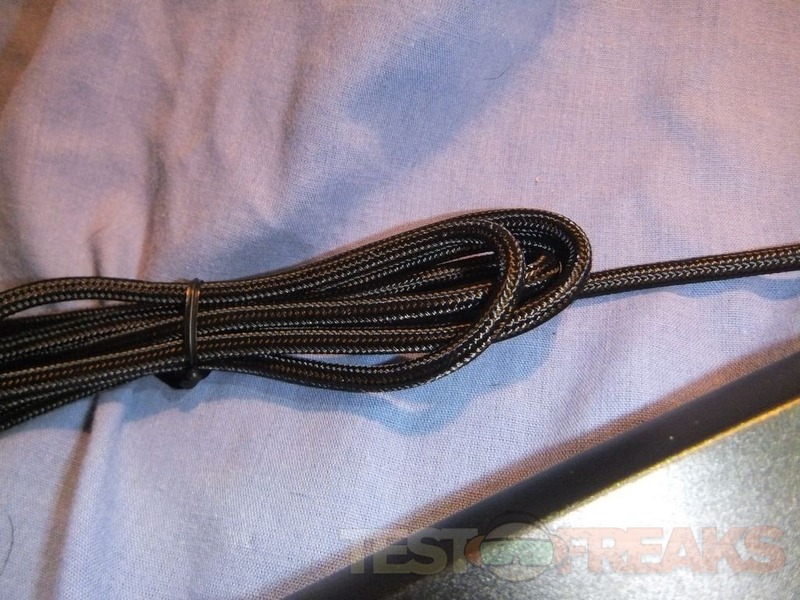 You never realize how much you use something until it is drastically changed on you. 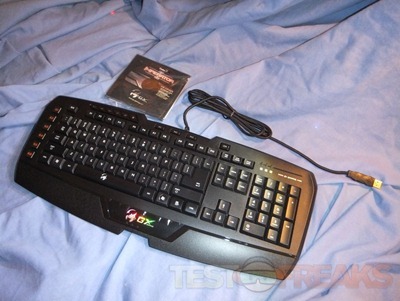 So all in all the Imperator is a decent gaming keyboard, especially if you’re on a budget.